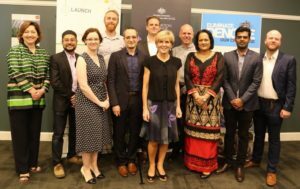 Leaders from across the Pacific, including Julie Bishop, Australian Minister of Foreign Affairs, came together in the city of Suva, Fiji in December to discuss regional challenges and priorities. 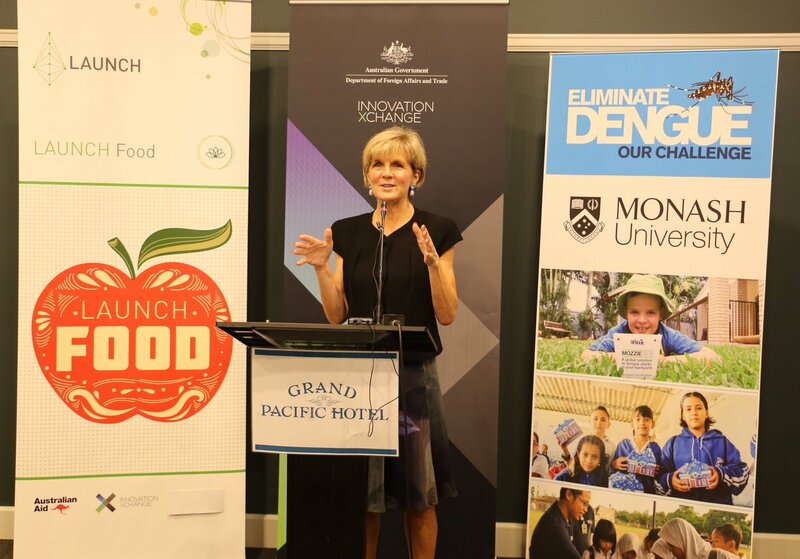 Bishop was joined by Fijian Minister for Health and Medical Services, Rosy Akbar to announce the Australian Department of Foreign Affairs and Trade (DFAT)’s new $4 million AUD investment in up to 16 innovations designed to combat malnutrition in the Indo-Pacific region. AGSOL was chosen as one of the innovations, sourced through the LAUNCH open innovation program, because of its contribution toward improved nutrition outcomes, and its specific benefits to communities in the Pacific Islands region. The investment in AGSOL will support a village-scale solar power system pilot to test how a larger, integrated system may work, providing villagers and partners with access to a number of agricultural processing machines including a cassava grater and a coconut scraper.